Send an email to all the subscribers collected from your WordFly Signup subscribe landing page. Just start a new campaign and assign the list your WordFly Signup page is using. Easily send an email to your WordFly Signup list. First, confirm the list your WordFly Signup page is using. Go to Account > Subscribe Settings and jot down the name of the list under the section Select a list. 2. 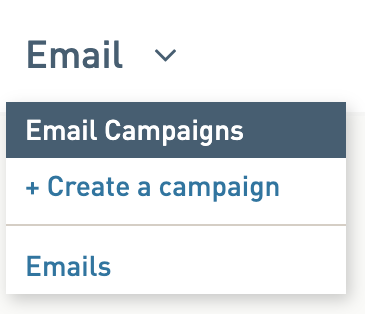 Click the name of your In Progress email campaign or start a new campaign. 4. Select the option to Use an existing list. 5. Select the list assigned to your WordFly subscribe page. To confirm which list this is, go to Account > Subscribe Settings and make note of the list assigned as your subscribe list. How do I segment by subscriber preferences? How do I remove customers from my WordFly Signup (prospect) list? How do I suppress my WordFly Signup list in a new email?